Kick Energy Rally driver Steve Perez saw his hopes of a decent points haul in the opening round of the 2009 Pirelli MSA Gravel Rally Championship disappear when he was forced to retire from Rallye Sunseeker today. 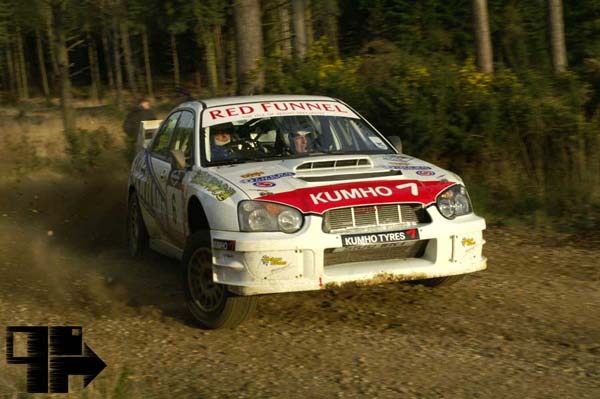 2005 National Rally Champion Paul Bird’s bid to regain the Pirelli MSA Gravel Rally Championship got off to the worst possible start when he retired from the opening round on Rallye Sunseeker. Although not winning the event outright, Irishman Sean Devine took maximum points on the opening round of the 2009 Pirelli MSA Gravel Rally Championship after a concerted effort on Rallye Sunseeker today. Another year and another trip down South for the Sunseeker. A rather depleted entry took to the stages Saturday morning and the top three on the entry list all retired due to a variety of maladies. So it was Will Nicholls & Nick Broom who took victory after a day long battle with Roger Duckworth & Mark Broomfield. Completing the podium were Sean Devine & Francis Regan, making it a 1-2-3 for the Subaru marque. Entries are rolling in for both the MSA British Rally Championship and its support series, the BRC Challenge, with nearly forty registered drivers between the two series’. Galway driver Ross Forde is gearing-up for the opening round of the Fiesta SportTrophy, the Malcolm Wilson Rally, a week on Saturday (7 March). Race Retro’s Golden Anniversary celebrations take a surprising turn – with a 24CT gold car!